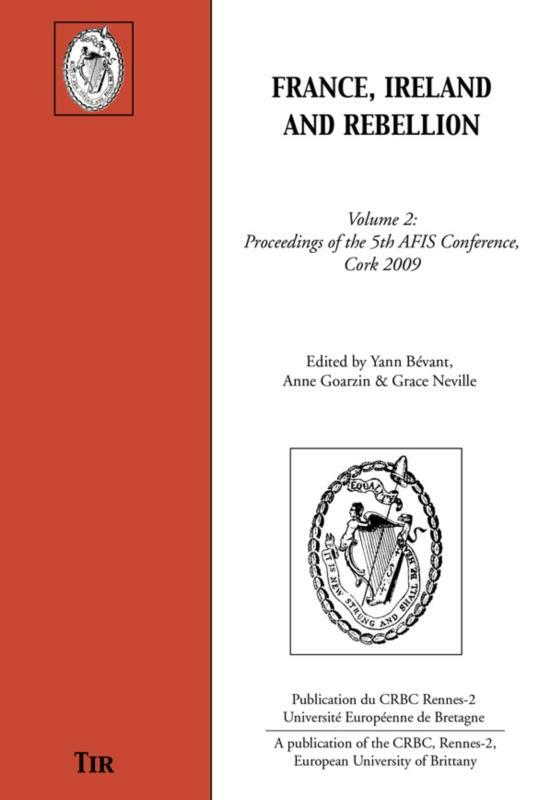 This book is the second volume of the proceedings of the highly successful AFIS Conference held in University College Cork in May 2009 entitled “France, Ireland and Rebellion”. The first volume dealt with the literary aspects of the matter, whereas this tome concentrates on historical material. 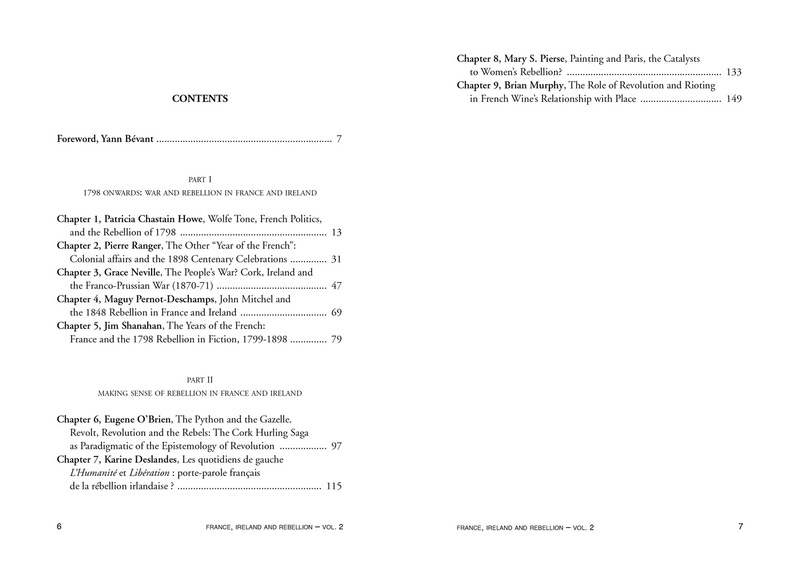 It is the ambition of the authors to explore the upheavals which marked the late eighteenth and nineteenth centuries in both Ireland and France that had a deep and long-lasting impact on Franco-Irish relationships, both in terms of how each nation viewed itself and of the ideological influence of this interaction between the two countries. The book is consequently divided into two sections. In the first part, the authors analyse major events that affected both nations, from the 1798 United Irishmen uprising to the 1848 rebellion and the perception of the Franco-Prussian war in 1870-71. The second part focuses on how the representations of revolt may affect and influence attitudes and/or bring about transformations. This part provides fascinating explorations of issues like the saga of the Cork hurlers’ strike, attitudes to painting, wines or the perception of the conflict in the North in French left-wing papers l’Humanité and Libération.